Beautiful Home in a quiet Neighborhood next to the Cattlewood Country Club with 3 bedrooms, 1.5 Restrooms in the lovely City of Whittier. Close to the main attractions of Los Angeles. The house is perfect for individuals, families, or groups. The guess will have full access to all the house and the Yard which is Great for BBQ or even playing activities with the love ones. Beautiful 3 bedrooms, 1.5 restrooms home in the lovely City of Whittier. The house is perfect for individuals, families, or groups. Come and enjoy our home with fully stocked kitchen if you prefer to cook your own meals. We have a 1 car garage and a large driveway, we provide WIFI. The first bedroom has a queen and twin bed. The second bedroom has a queen bed. The third bedroom has a Queen bed and a futon. In the den room futon bed. Whittier is centrally located between Los Angeles and Orange County. Downtown Los Angeles, Staples Center (Home of the LA Lakers, Clippers and Kings), LA Fashion District, LA Convention Center, LA Live, Coliseum, USC , Exposition Park. Disney Concert Hall, Dodger Stadium, Union Station, The Grove, LA Farmer's Market, Long Beach, Manhattan Beach, Universal Studios, Hollywood, Santa Monica, Venice Beach. Disneyland, California Adventure, Downtown Disney, Angels Stadium, Knott's Berry Farm, Medievel Times and Huntington Dog Beach. 25 miles from Los Angeles Int'l Airport and 15 miles to Long Beach airport. 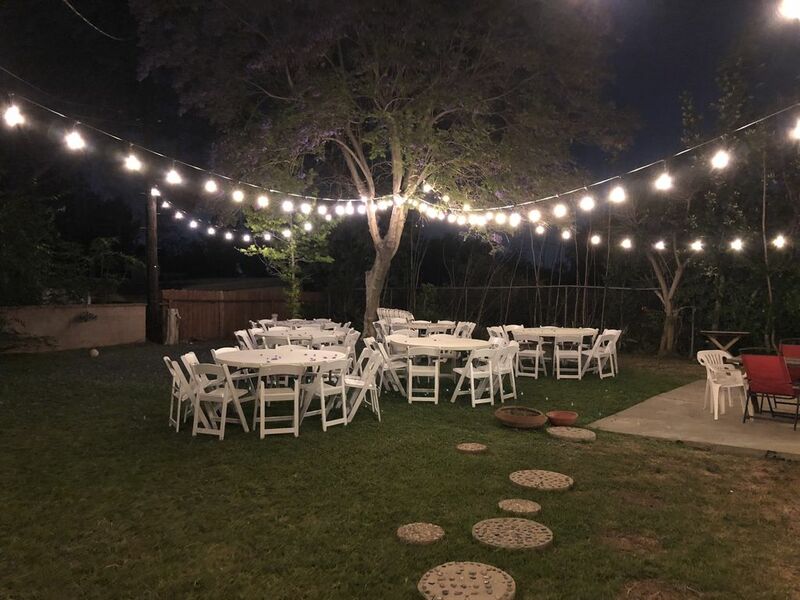 5-10 miles from Citadel(LA's premium outlet shopping), Commerce Casino, Candlewood Golf Course, Whittier College, Biola College, PIH, Whittier Hospital, Hiking, running and mountain bike trails in the local Whittier Hills. Great area, very spacious, huge backyard.. just what we needed for our family get together! Huge back yard and the neighborhood is quiet. The property is a little tired and could use an update. There was an issue with the locks so could not access the property. Owner corrected the issue in a very timely manner. Owner was very responsive and great to work with. We had a great time at your homeaway! Your quick response to our questions and immediate attention to our needs made our stay quite enjoyable! Thank you for printing out our NBA tickets and getting me directions..you definitely went the extra mile for us and we really appreciated it!